Clean and friendly. Near the airport. 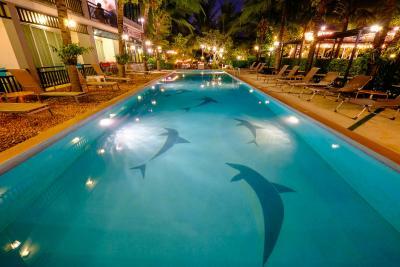 20 meter swimming pool. It would be good for families with young children as there was also a wading pool. 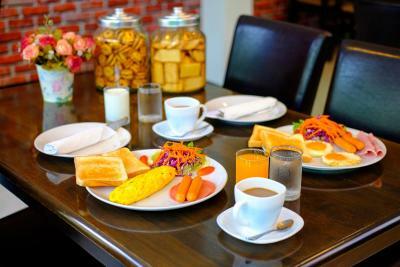 Breakfast was the typical Thai hotel breakfast but you could order eggs the way you like them. 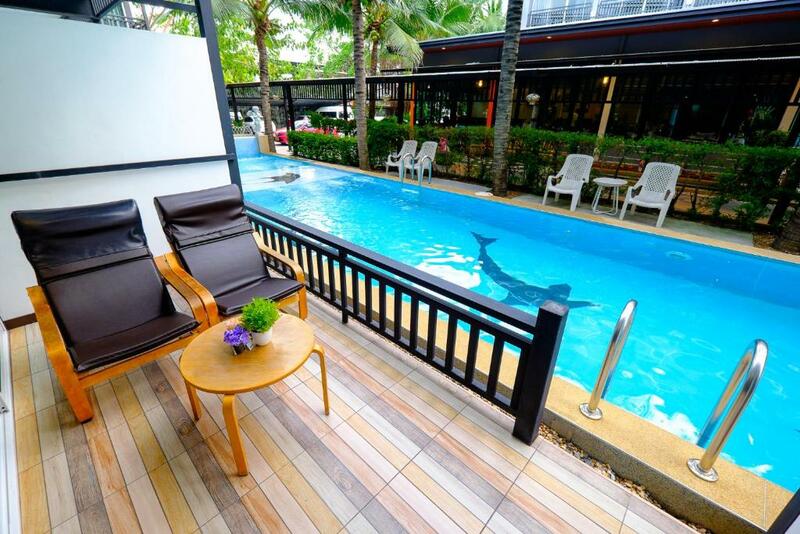 Had a nice room with pool access. Comfortable bed. Friendly staff. 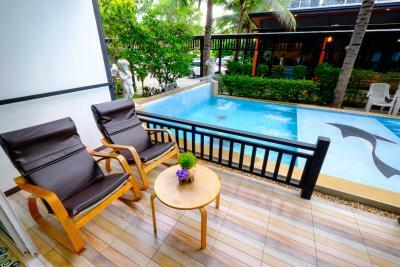 Close to the airport with free shuttle service. 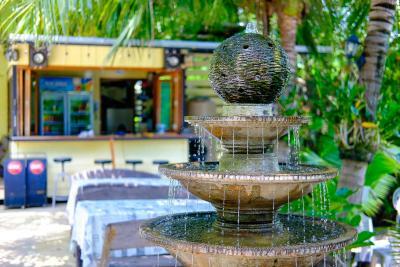 Excellent restaurant with multiple different areas to eat, outdoors, by the pool or by the river outdoors, in an air conditioned 2 story enclosure by the river... You have multiple areas to choose from for your dining atmosphere. They do supply bug spray if you are outdoors. Loved the pools, but they could use a cleaning before they open in the morning. The food in the restaurant was very good. The staff was very friendly. Receptions English was pretty good. Very nice and relaxing. Peaceful place to stay before our flight . 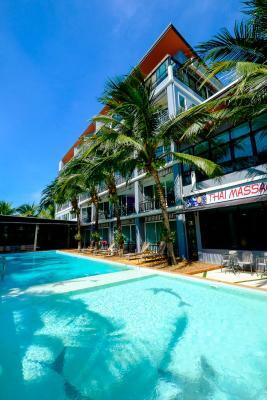 Really close to the airport, the pool was super nice, the staff at the reception was friendly. We only stayed one night buy we really enjoyed it. The staff named Khun Muay is very supportive. She is very friendly and helped me manage with the hotel booking. The place looks natural and quiet-away from the road and traffic. I love all plants and trees surrounding this hotel. 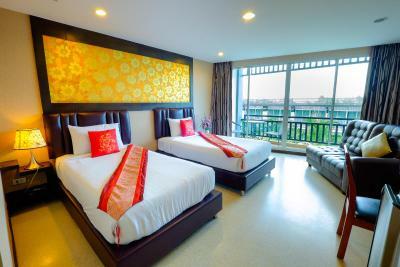 The room is clean and spacious compared to the price. All porters and the Cleaner are helpful and friendly. 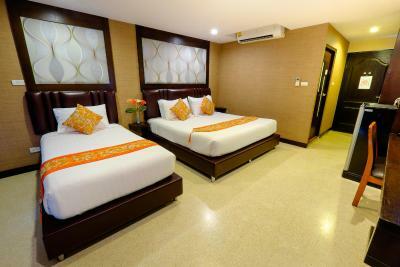 Aranta Airport Hotel This rating is a reflection of how the property compares to the industry standard when it comes to price, facilities and services available. It's based on a self-evaluation by the property. Use this rating to help choose your stay! One of our best sellers in Lat Krabang! 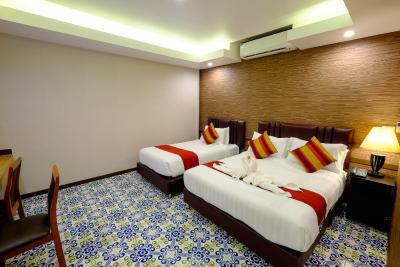 Aranta Airport Hotel is a 5-minute drive from Paseo Shopping Mall. 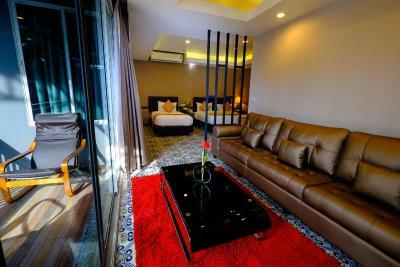 It offers air-conditioned rooms with a private balcony and free WiFi. 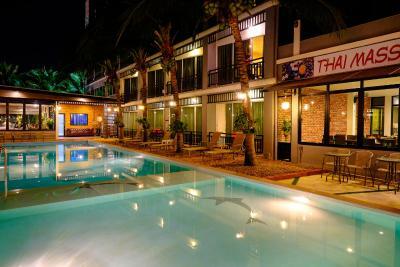 The hotel is equipped with a pool and massage spa. 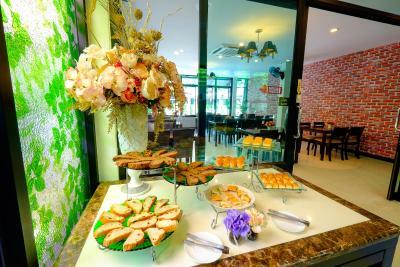 The hotel is a 10-minute drive from Suvarnabhumi International Airport. 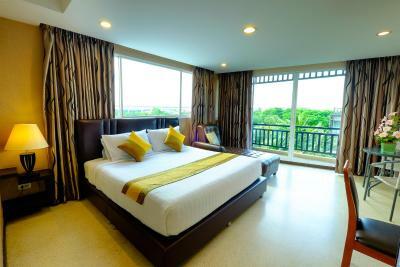 It is a 15-minute drive to Suan Luang Rama 9 Park, Seacon Square and Mega Bangna Shopping Center. 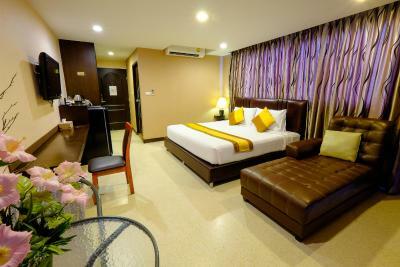 Rooms come with a flat-screen cable TV, mini-bar and seating area. Shower facilities including a hairdryer are provided in an private bathroom. 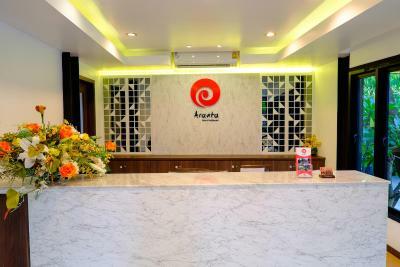 Thai and Western dishes are offered at Aranta Restaurant. There is also a 24-hour front desk. For added convenience, airport shuttles can be arranged for an additional charge. 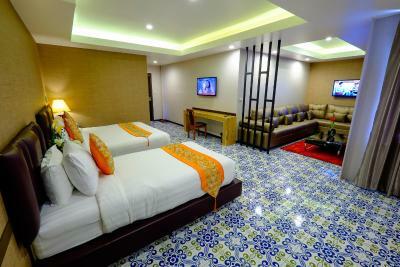 When would you like to stay at Aranta Airport Hotel? Air-conditioned room features a balcony. 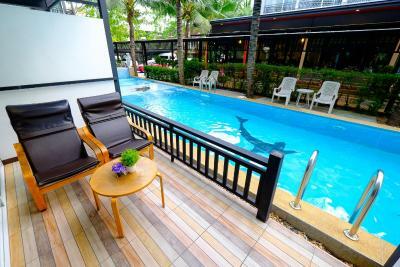 It comes equipped with a flat-screen cable TV, electric teakettle and minibar. It also has a sitting area and slippers. Shower facilities are included in a private bathroom. 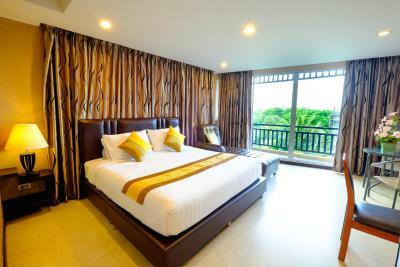 Air-conditioned room features a balcony with pool view. 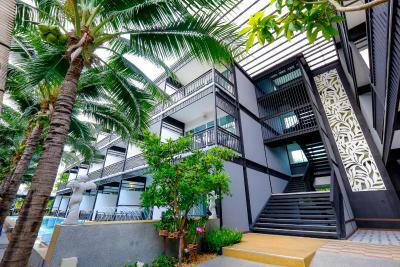 It comes equipped with a flat-screen cable TV, electric teakettle and minibar. It also has a sitting area and slippers. Shower facilities are included in a private bathroom. 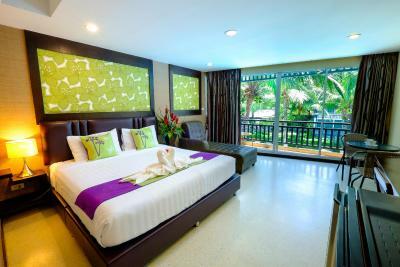 Room rates include one-way transportation from Suvarnabhumi Airport. 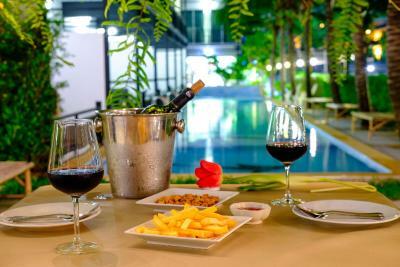 House Rules Aranta Airport Hotel takes special requests – add in the next step! Aranta Airport Hotel accepts these cards and reserves the right to temporarily hold an amount prior to arrival. 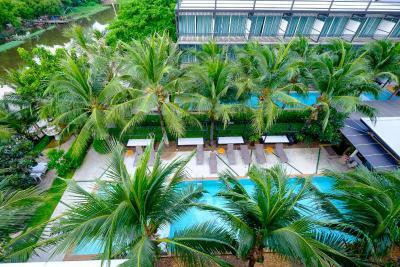 Please note that the hotel offers a chargeable transfer between the hotel and Suvarnabhumi International Airport. Guests are kindly requested to inform the property in advance if they wish to make use of this service and provide flight details. Contact details can be found on the booking confirmation. It’s nothing at the moment. It’s very nice hotel and staffs are warm welcome .I will comeback again. Electricity went off in the morning. I don’t know if that was a general problem for the neighborhood or particular to that hotel. No big complains breakfast could be cheaper and the pool closes at 21:00 but that all. WiFi not very stable. Seems to only support 2 devices in each room . Airport transfer was easy and right on time. Friendly and helpful staff. Pillows were a little hard. Pools could use cleaning before opening. Pool water was clean except for plant debris from the coconut trees and bushes. The shower water was very hot even with the instant hot water heater off. (no way to take a cool shower) It had been sunny and very hot all day. Their water tank is probably in direct sunlight. 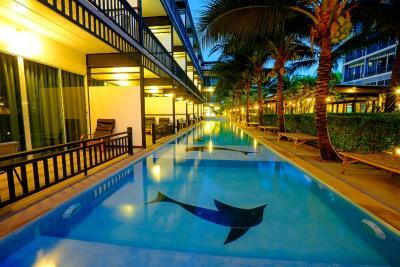 First of all I really like this hotel and decided to stay during my vacation in BKK. I realized my thought was wrong on the last day I came back from Japan-12APR19. i FOUND MY ROOM 1301 WAS LOCKED AND THE PORTER SHOUTED TO ME THAT THE HOTEL STAFF ASKED ME TO PAY THE ROOM THEN THEY WOULD OPEN THE ROOM FOR ME. How dare the porter could talk to me like this!!!!!!!!!! !Why didn't staff concerned share my information that I would be back on 12th APR? What a discrimination! This hurt my feeling very much. Some of the staffs there knew that I would be back on 12th APR19 and I would check out by the late evening at 6PM. Furthermore, I made the complaints that the shower was not good and the smell from the toilet was very strong. These problems WERE STILL THE SAME!!! The worst was the room charge! At 1730 HRS I was shocked when I was informed the bill for the room charge. It was too expensive than I expected. I swore to the Buddha that I have talked to Khun Muay who allowed me for the same rate as I previously booked through booking.com. I requested her to contact Khun Muay and she recalculated and reduced the charge. I kept saying to all that this hotel was nice, all staffs were friendly and supportive. My thoughts are wrong. 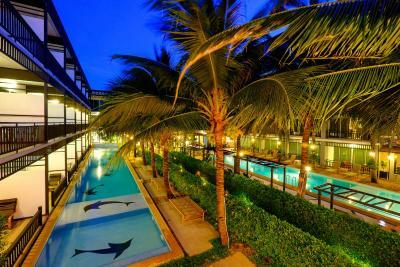 The Hotel staffs treated me badly and meant to me very much. I need apology letter from this hotel!!! However, I still thank to those who are friendly and nice to me. Place is lovely and quiet. Location is a big surprise to me by the canel side and the surrounding of local life...which unexpected from this place regards to the middle of Bkk location. Highly recommended! AC right above the bed, and not all it functions worked correctly. Empty bottle of whiskey in one of the wardrobe. No means to kill mosquitos in room. As the hotel is close to the river there was a lot of mosquitos maybe the hotel could invest in putting either plug in devices or repellant in the rooms. Hotel was in a great location to the airport. The price of the pool access room was way to steep.